Well, it finally happened. 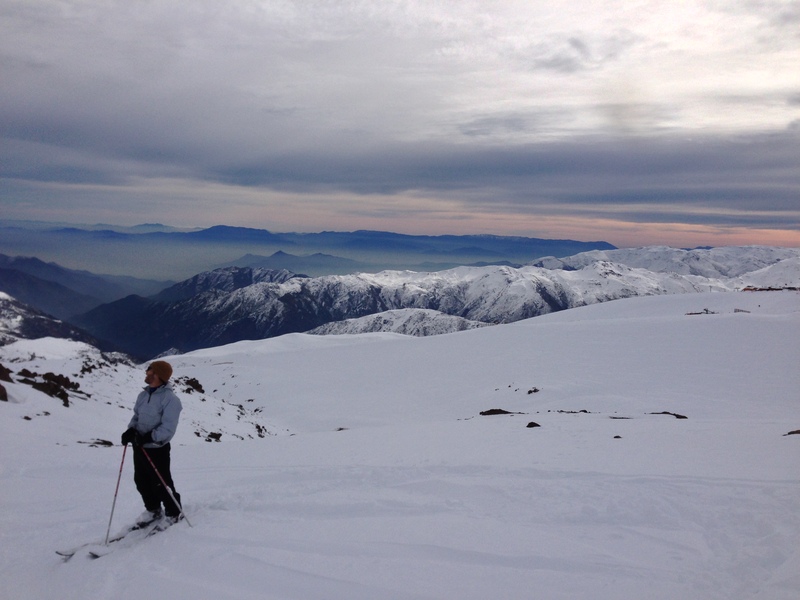 After close to 10 years of dreaming of skiing in Chile I got to check it off the bucket list. Bluebird skies, fresh snowfall and super fun above tree line runs made for a great day that lived up to all my expectations. Unfortunately, rather than being able to cross that one of the bucket list, spending at least a week there skiing may or may not now be on my short list of places to go and things to do. On Friday we tried to make it to Portillo. We woke up early and headed on the main road to the border with Argentina, where Portillo is located. We got to the pass at 730 and were told it was closed due to snow but would be opened in a “momentito.” 4.5 hours later we were still waiting for the pass to open. We had to give up bc by that point we wouldn’t have made it to the mountain until 1, if we were lucky. Sad day. SO we woke up early the next day determined to make a go at skiing. Scared to try the pass again we headed to the Three Valleys which is closer to Santiago and has 4 different resorts to choose from. The road to the valleys was also loco. There were 28 switchbacks with traffic backed up for as far as the eye could see. Lets just say we shifted out of 1st gear about three times in the three hours spent on the way to the mountains. 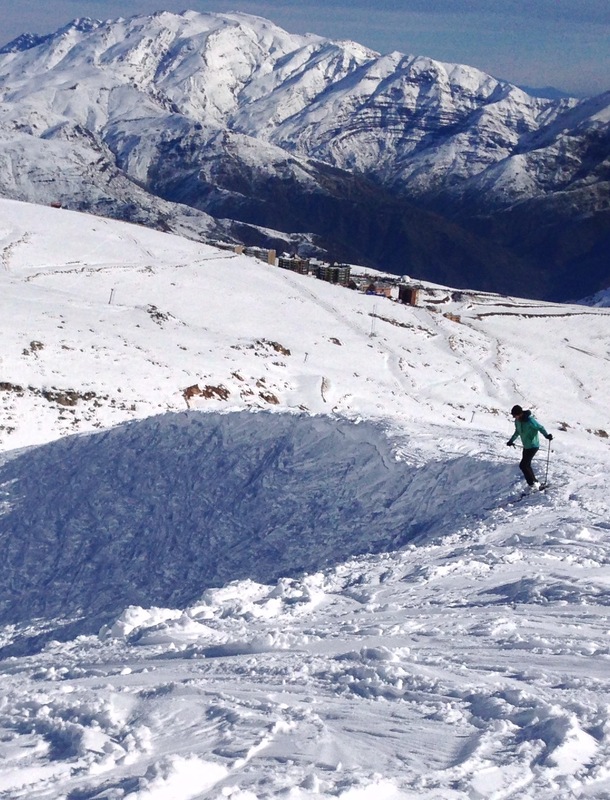 Our lack of chains limited us from heading to Nevado so we decided to ski at a little resort called La Parva. We rented equipment, suited up, and had a stellar day of big turns, pseudo moguls (not anything MRG would be proud of) and re-learning how to use pomas. It felt so wonderful to be on skis again and I’m just glad I can say I still haven’t missed a year of skiing since the age of 3. Twenty-two years and going strong! Doods killed it! No brace for the first time in 25 years! The road systems in Chile aren’t the best and it was only after 3 hours of sitting in stop and go traffic that we got to the resort. All was forgiven with the first turn, when that true rush of love for speeding down a mountain on two pieces of wood comes back to you. 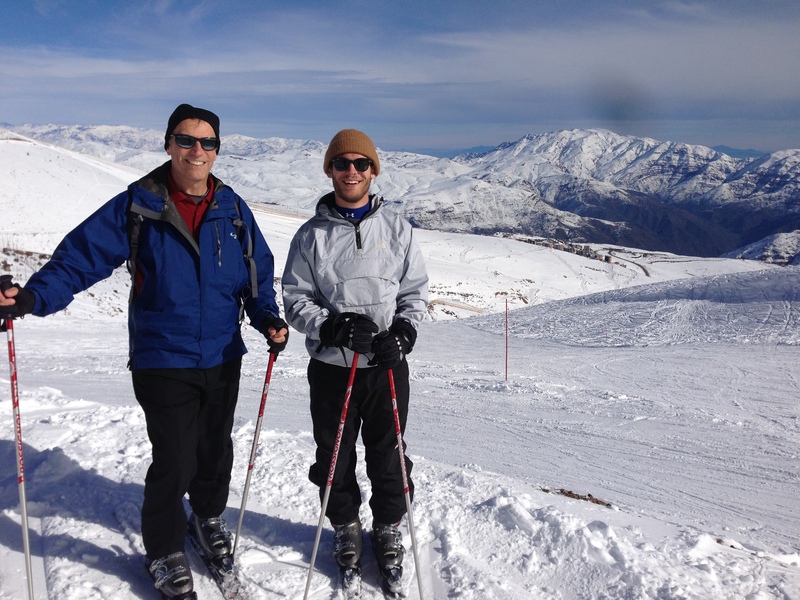 Oh skiing, I’m tempted to write an ode to you right now but will spare anyone reading this blog that pain. 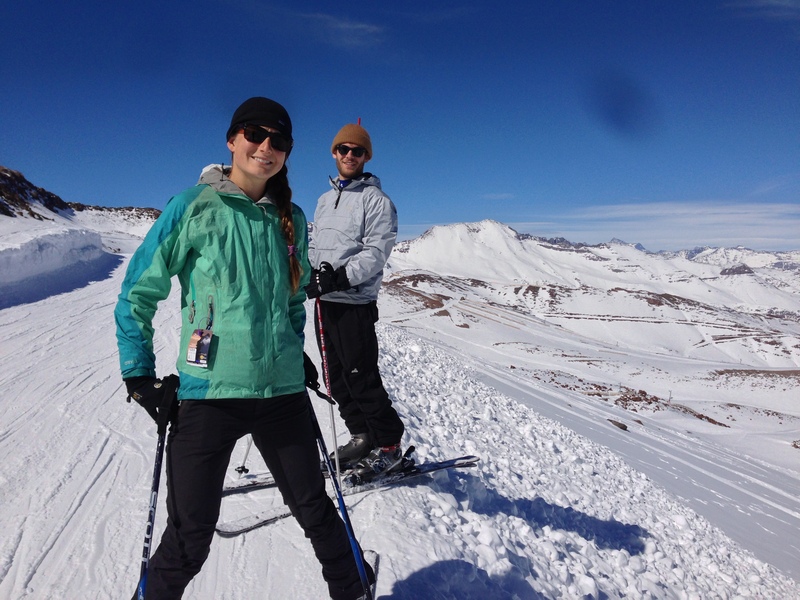 I’ll just leave it at: skiing is wonderful, I love it more than most things, and to get to ski in Chile was a once in a lifetime experience. Well, actually, hopefully not.